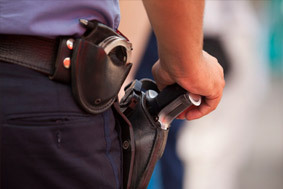 New York City Councilman Jumaane Williams, along with Kirsten John Foy – the Community Affairs Director for Advocate Bill de Blasio – were recently involved in an incident that highlights the problem of police misconduct in New York City. According to their spokesperson, the two were in a confrontation with police during the West Indian Day Parade, which culminated in the two men being handcuffed and manhandled by the police. The Police Commissioner, Ray Kelly, had a meeting with Williams and Foy and said that he would look into the incident – which was all caught on tape. The incident with Williams and Foy illustrates a long history of police misconduct in New York City – particularly when law enforcement officers are dealing with members of minority groups. Police misconduct is generally defined as action where police officers have overstepped their authority when dealing with the public. This could include harassment, false arrests or charges, and excessive force. The frequent stopping and interrogation of minorities by New York City police officers for no legitimate reason represents one of the most common forms of police misconduct. According to a study conducted by the New York Civil Liberties Union, in 2010 alone, 600,000 stops were made in New York City. The majority of those who were targeted by police were members of minority groups – 53 percent were African-American, 23 percent were of Hispanic descent while only 9 percent of those stopped were Caucasian. In 86 percent of these cases, those who were stopped and questioned were not guilty of anything. To make matters worse, when the police have overstepped their boundaries, citizens who do complain often cannot expect anything to be done about it. New Yorkers can file a complaint against a police officer with the Civilian Complaint Review Board – 8,000 of these types of complaints are made annually – but the NYPD declines to prosecute almost 40 percent of the complaints that the Board refers to it. The Civilian Complaint Review Board investigates each complaint to determine whether it is substantiated. According to their annual report, which was released in June, the substantiation rate was only 11 percent. Based on the total number of complaints made last year, this worked out to be one in every 260 complaints. If you have been falsely arrested or suffered an injury while being arrested, it is important you have an advocate who is not intimidated by the law enforcement and who is familiar with their procedures. 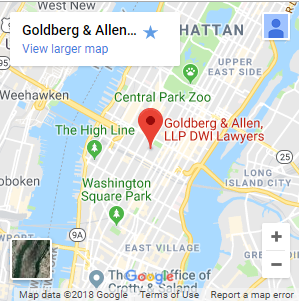 A skilled New York City false arrest and handcuff injury lawyer can evaluate your claim and review your options with you.